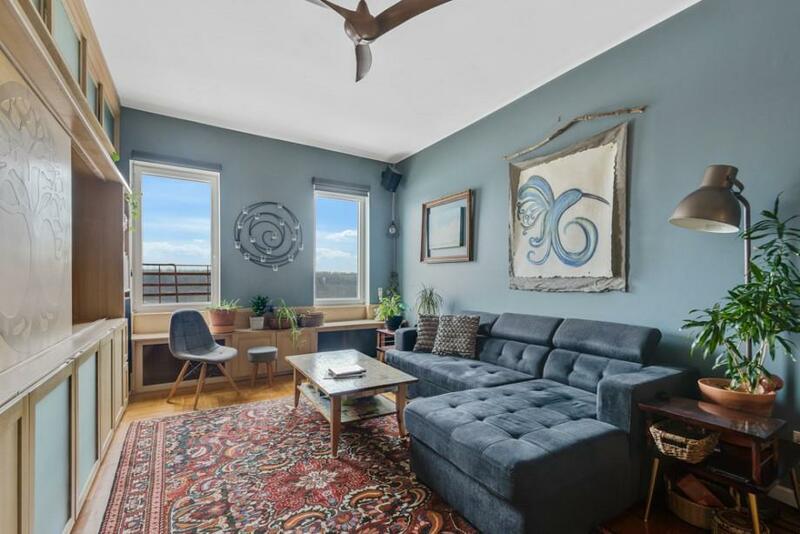 Come experience this exquisite top floor, corner apartment with its spectacular river views! This two bedroom, one bath corner unit has been transformed from top to bottom. Not only has it been sweetly renovated with love and care but with a fine eye for detail. 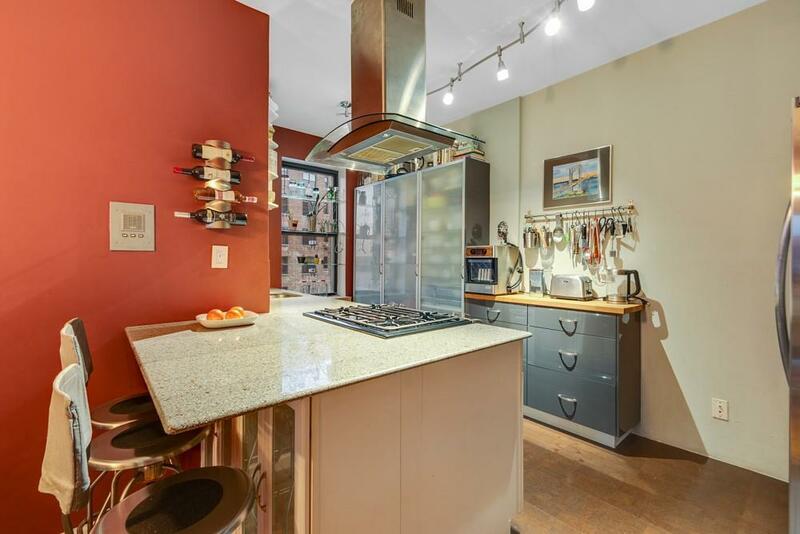 The open windowed Chef's kitchen includes a breakfast bar, eco-friendly material countertops, stainless steel appliances, including a dishwasher, and plenty of cabinetry for all kinds of cooking storage. Its beautiful clean lines will welcome you as soon you enter this wonderful home as well as the spacious dining area. The sunken living room includes handsome wooden built-ins that conveniently hides all your entertainment electronics, has bookshelves and a built-in desk. The corner Master Bedroom has also been transformed into a beautiful sanctuary, it is possible you may not want to leave as you sit in the lovely window seat overlooking the Southwest and North Hudson River views. The windowed bathroom has been updated with glass tiles, vanity, ?and mirror that includes its classic prewar cast iron tub. 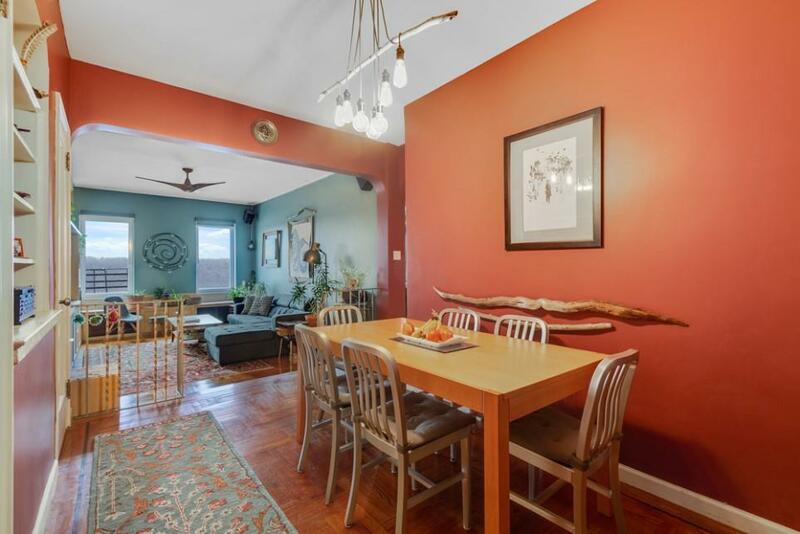 The apartment has well-maintained hardwood flooring throughout out as well as plenty of closet space. 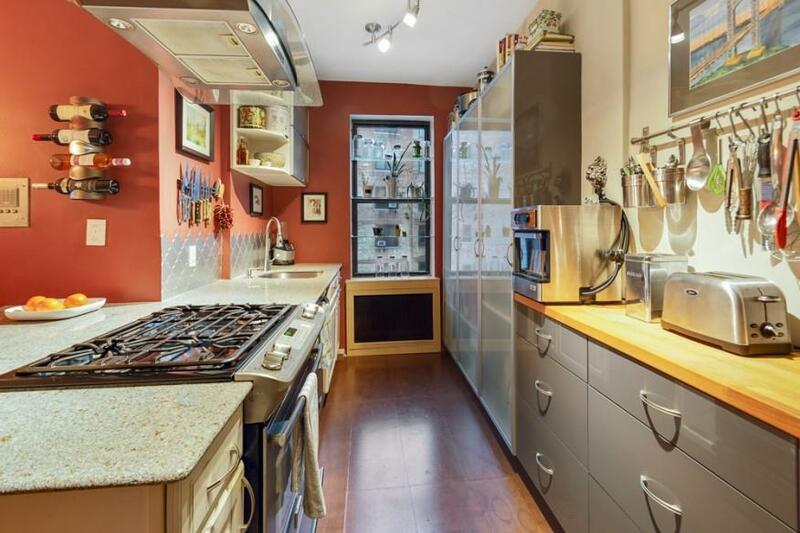 The coop is meticulously taken care of and is located on one of Hudson Heights most unique streets, Chittenden Avenue. It also has a common backyard, storage units, common laundry room and is pet-friendly.